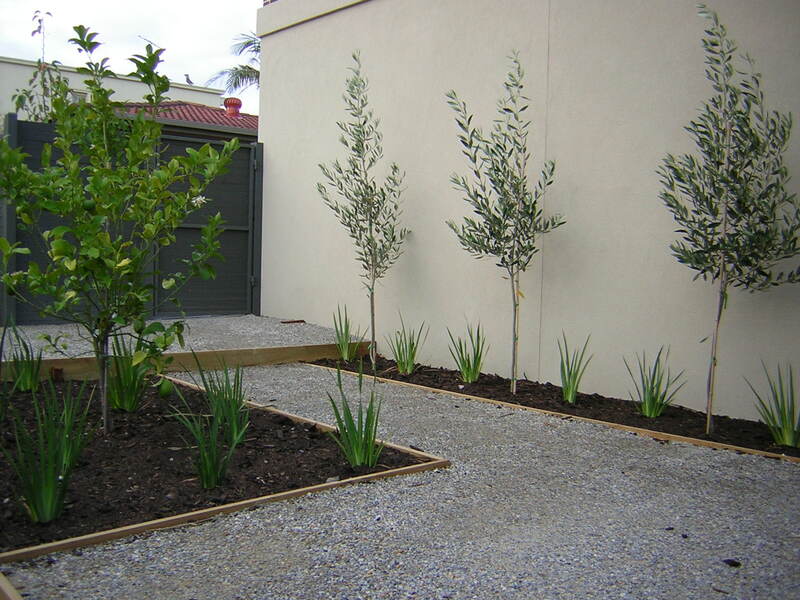 The front yard of this project was severely sloped and required levels to be put in to reduce the risk of runoff into the street during heavy rain. 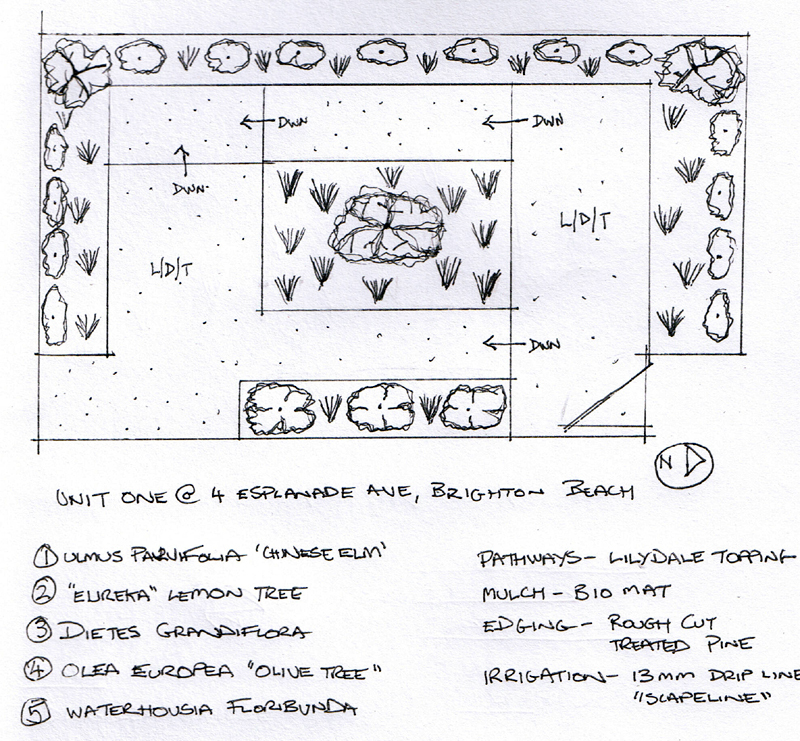 We also wanted to draw the garden user in and around the garden rather than create a direct route through the garden. The owners also like to cook so we added a semi-mature lemon tree in the center of the garden and olive trees along a rendered wall. 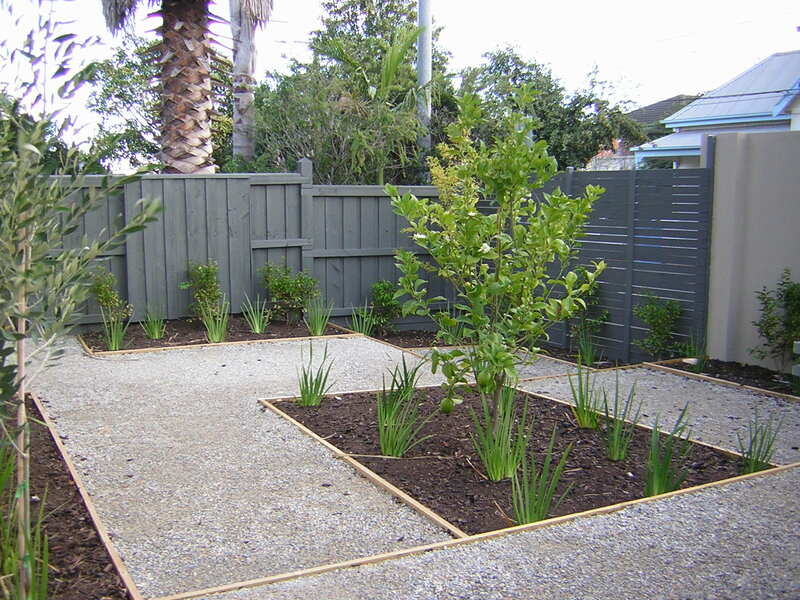 Wild iris will in time create a dense border around all the garden beds and Waterhousia floribunda planted around the perimeter will in time create a living wall making the whole area feel private and secluded. 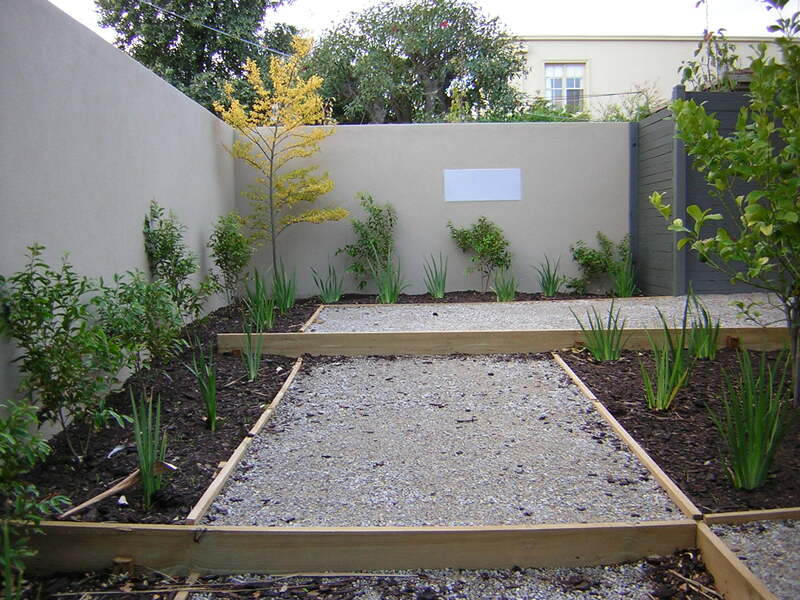 We anchored the two corners with Chinese elms that will gracefully spread and provide a wonderful canopy during the height of summer when this garden is a real hot spot.